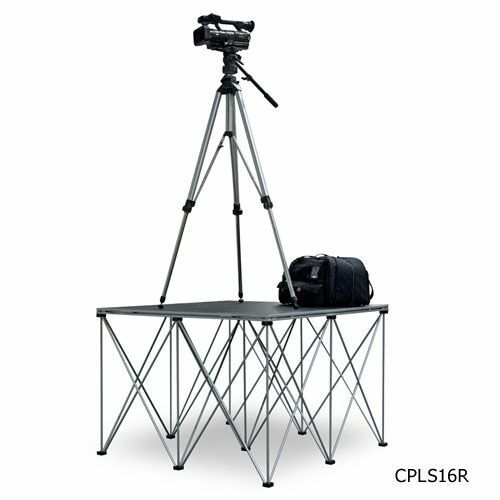 Intellistage camera platforms give you the ability to put them anywhere for the perfect shot. Easy to move and transport they are just addition you need for your video ministry. Intellistage makes it easy to add any size camera platform to your video production for amazing results. 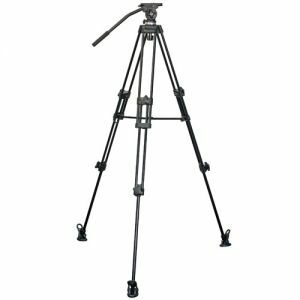 Sturdy platform elevates your camera operator to ensure a clear line of sight. 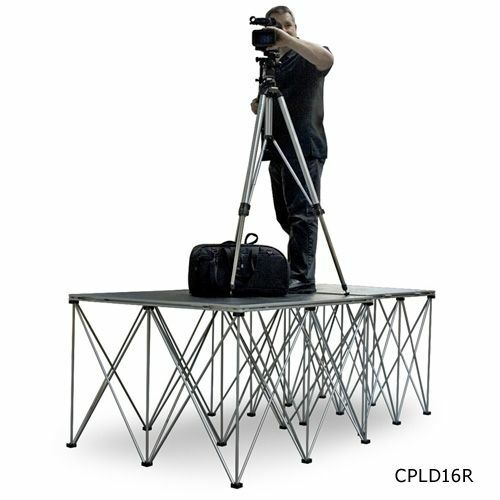 Single platforms allow camera and cameramen to operate from the same platform, while double platforms allow equipment and cameramen to be on two separate platforms to reduce camera shake and movement. They are also available in a mobile form with wheels for easy movement. Carpeted finish on the platform creates less friction and noise. Multiple layer platform construction featuring honeycomb structure with a weight capacity of up to 185 lbs/sq. ft.